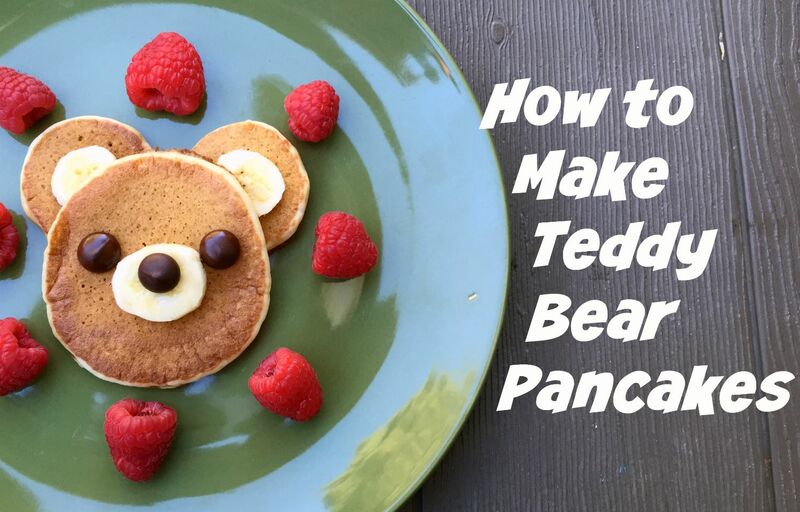 Lunchbox Dad: Learn How to Make Teddy Bear Pancakes! Disclosure: This is a sponsored post partnering with Hungry Jack. I received compensation but all opinions expressed are solely my own. My family loves breakfast for dinner, breakfast for lunch, breakfast for breakfast, ok really just breakfast at any time of day ever. 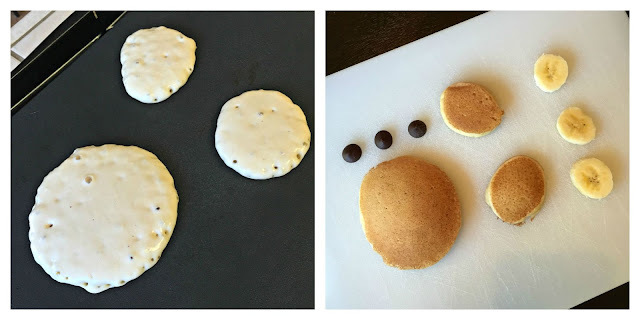 One of my kids' favorite meals are pancakes. They pretty much will request them all the time so I am always looking for ways to make pancakes easier. 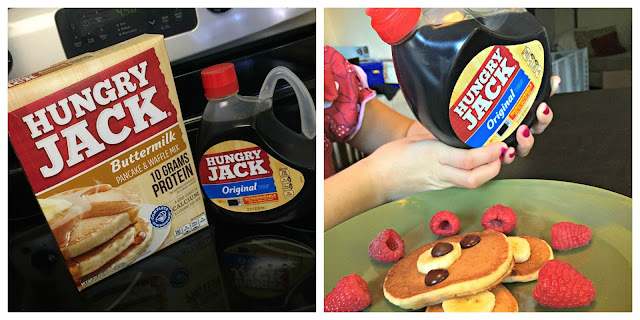 When I saw that with Hungry Jack's new Protein Pancake and Waffle mix you only have to mix it with water, I knew this was the mix for our family! Not only that, but their new syrup makes it possible to heat the bottle in the microwave. It couldn't be easier. I put the mix to the test and my family loved the taste! Of course being the Lunchbox Dad I couldn't just serve pancakes, I wanted to make it creative and also show you how to make Teddy Bear pancakes for your own family! 1. Prepare Hungry Jack Protein Mix as directed according to instructions on box. When cooking, make one medium sized pancake and two smaller pancakes per person. 2. Place medium pancake in middle of plate. Put smaller pancakes halfway under the medium pancake towards the top for ears. 3. Arrange banana slices as shown. Put one on each ear and one in the middle of larger pancake. Place two chocolate chips as eyes and one as the nose in the middle. Lay the berries in a circle around teddy bear head. 4. Pour warm Hungry Jack syrup over pancakes and serve! What type of chocolate chip did you use?